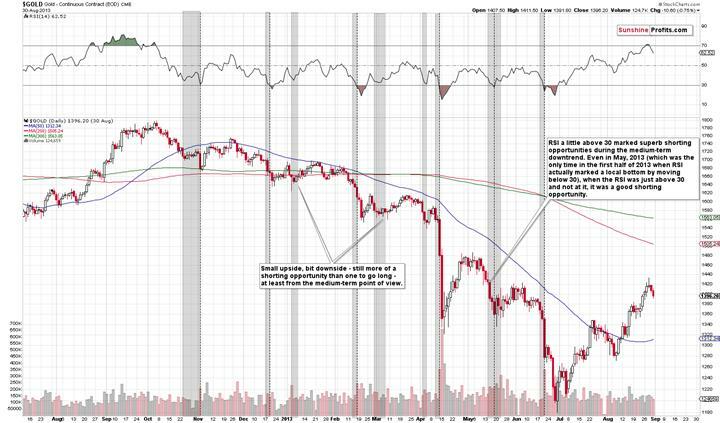 In mid-December 2012, an analogous signal was seen right before the bottom - not at it. Gold’s post-bottom rally took the yellow metal only a bit higher than gold had been trading when the RSI moved below 30, so it was hardly a buying opportunity. Considering what took place in the following months, it was much more of a shorting opportunity. 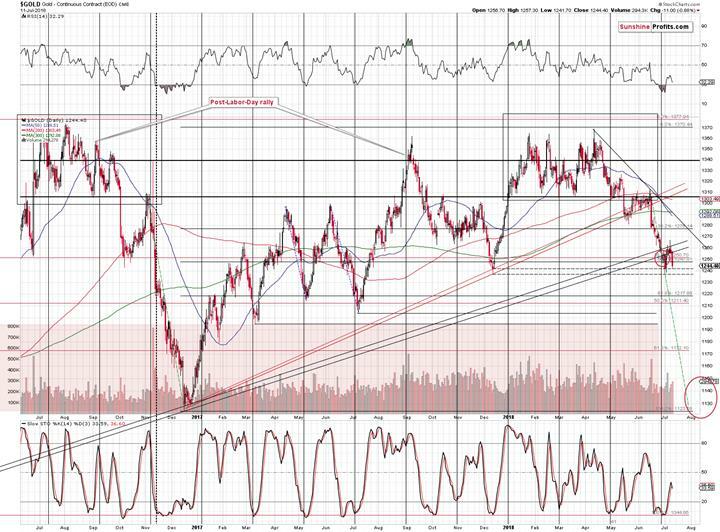 Consequently, the final implications come down to the question if gold is in a medium-term downtrend. The reply is quite straightforward - of course it is due to multiple bearish signals that we discussed previously and the recent breakdown below the rising medium-term support line and its verification serve as a strong confirmation.